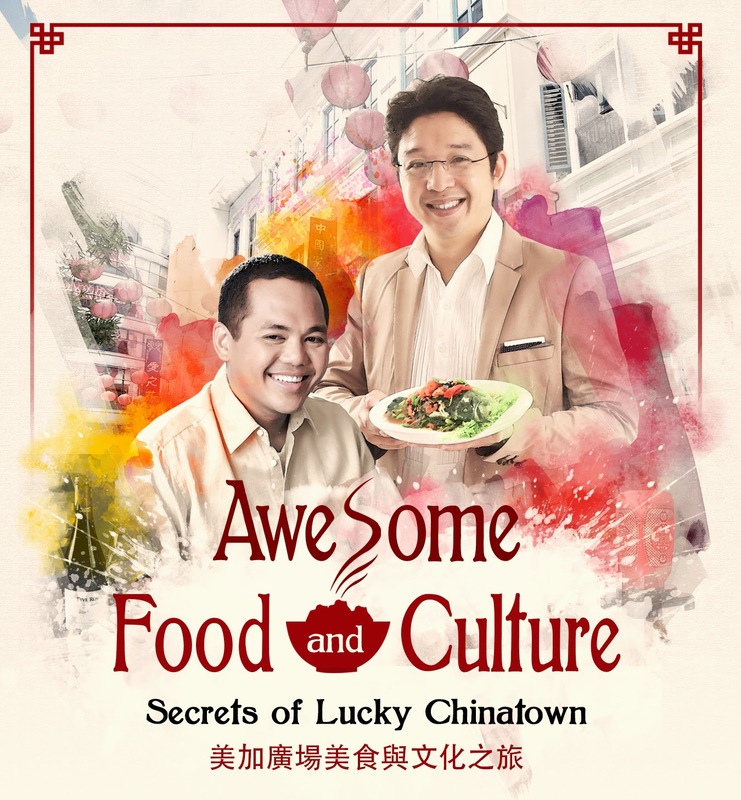 Event: Get a chance to unveil the #LuckyChinatownSecrets Food and Culture Tour on May 10, 24, 31 and June 7! A different food and appreciation tour like no other. It was my first experience starting a food tour with herbal teas. No mall in the metro has a Herbal Botanical Hall (at least none that I've been to)serves freshly-brewed herbal teas good for the health before the indulgence . 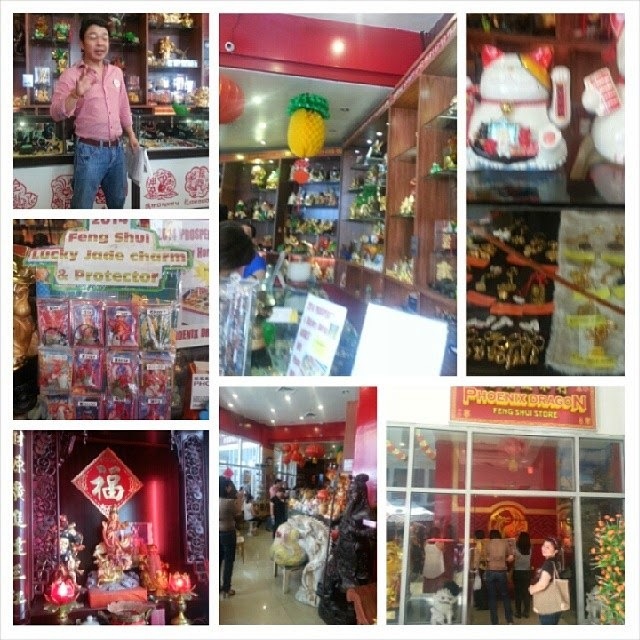 This May, Lucky Chinatown,a heritage project of Megaworld Lifestyle Malls will let everyone explore the fascinating traditions of the Chinese with Awesome Food and Culture Secrets of Lucky Chinatown Tour. 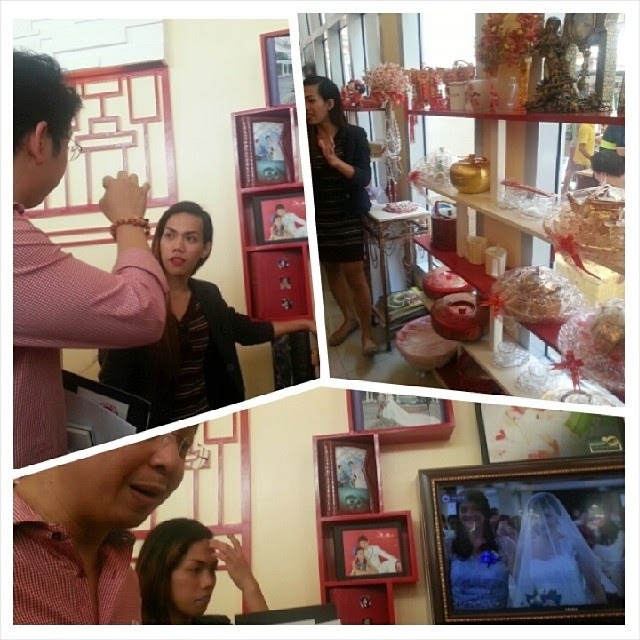 Last Saturday, the media was invited to experience the Lucky Chinatown Secrets with Mercato Group's RJ Ledesma. The said tour slated on May 10, 24, 31 and June 7 will only have limited slots to better appreciate each venue so please do reserve at the Lucky Chinatown Concierge or the Eastwood Mall Concierge. We all tried samples of Hongkong Botanical Herbal Healthy Tea variants. Served hot or cold, Lo5 Tea has 5 kinds of flower (Oriental Wormwood, Chrysanthemum, Honeysuckle, SelfHeal and Kapok) which mildly relieves cough and reduce phlegm, Pear C Tea (water, Snow Pear and Chrysanthemum) can mildly clear heat and improves eyesight, May Bloom Tea (May Bloom and Chrysanthemum) can mildly strengthens stomach and has lipid-lowering properties and Plum Tea (water, Dark Plum, May Bloom, Dried Tangerine and Liquorice) can mildly dispel heat and helps digestion. I was happy with the taste of Plum Tea but Pear C Tea and May Bloom Tea have better healing properties. While going through the hallways, it was hard to resist the temptation of shopping because all stalls were just marked-down prices (being a step away from Divisoria stalls). A few steps after, we're on the second stop, Miao De Temple. We were taught how each symbol contributes to the Buddhism religion and why we should also venerate our existence to the world. This part of the tour reminded me to watch what I eat and carefully rethink those guilty pleasures that may not be good for my health after. It was amazing learning new ways to appreciate Buddhism and what each Buddha stands for. It was also the first time that I learned that anyone can be Buddha. You'll learn more about doing no harm and doing all good to purify your mind if you visit Miao De Temple also located at the Lucky Chinatown Mall Annex A. After that temptation to indulge before going to Miao De Temple, RJ Ledesma announced that it was time to eat and sample the famous dishes at the booths. We had Sate Seafood Noodles with Dumpling Shrimp, Noodles Dumpling and Taiwan Pechay in a Sate Soup Base. The Taiwanese owner did not fail to explain how the Sate Soup Base was prepared hours before Fu Dau Dumpling Kiosk opens everyday. Cha Cha Food House served us freshly-made pumpkin cakes and Wanton Noodles. The spicy and oily Sate Soup Base Noodles was delicious perfect with Cha Cha Food House's sweet pumpkin cakes. Mr. Fast Foo's Cua Pao and Fresh Lumpia were also perfect matched with their sticky and tasty Maki Mi (Pork Tenderloin with Noodles and sticky sauce). Celebrity host RJ Ledesma gave us a hint to not eat everything because we still have food stops to visit after this sit-down lunch at the booths. It was a break after that sumptuous feast of dimsum and noodles visiting Reflexions Studio next. 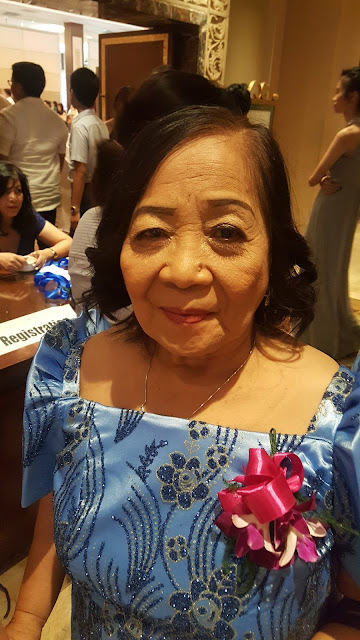 Ms.Basha explained how Chinese wedding customs were different from Filipinos and how the symbols with Chinese characters played a role in the marriage. I was so interested with the Double Happiness Chinese characters. Their dolls and souvenirs are all for sale at affordable prices. A few steps away from Reflexions Studio is Phoenix Dragon, a world of Feng Shui like no other. Mr. Chua explained how the charms work and the meanings of the symbols of Chinese zodiac. It was amazing how the bracelets can be cleaned back to zero with his marble bowl. The sounds reverberating the room gave a hair-raising experience and it was also my first time realizing the power of those crystals we wear every so often. We headed inside Lucky Chinatown Mall at the 4th floor to sample Rainbow Snow's famous Shaved Ice desserts. They also have Milk and Fruit Teas, red mongo beans dessert and it was refreshing to eat their Strawberry flavored shaved ice desserts. It was then that RJ guided us to the next stop at the 3rd floor, the Wellness Sanctuary. 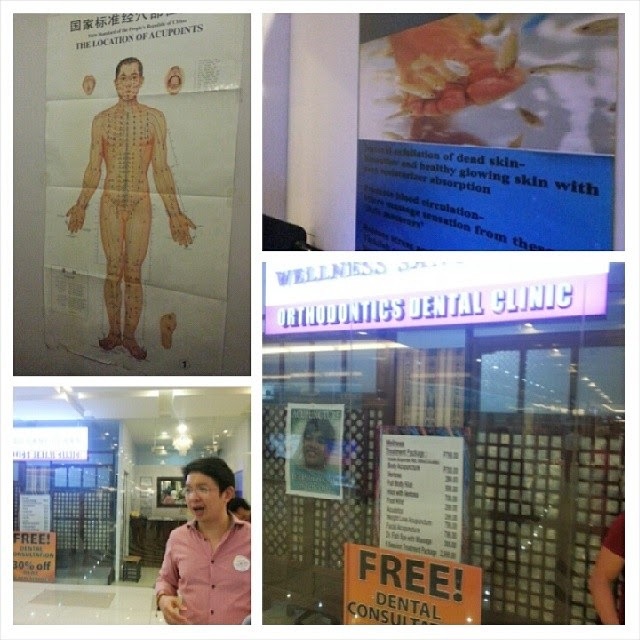 Some of the media participants had Tuina Massage, some had Acupuncture Detox and tried Dr. Fish, foot spa massage and fish spa for cleansing and relaxing. It was the first mall I've seen with such services. 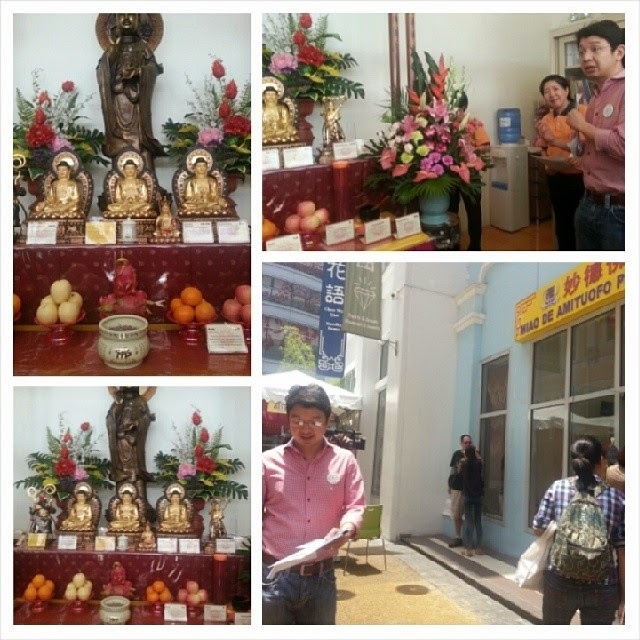 You can conveniently visit the place if you're too tired shopping and going around Lucky Chinatown Mall. 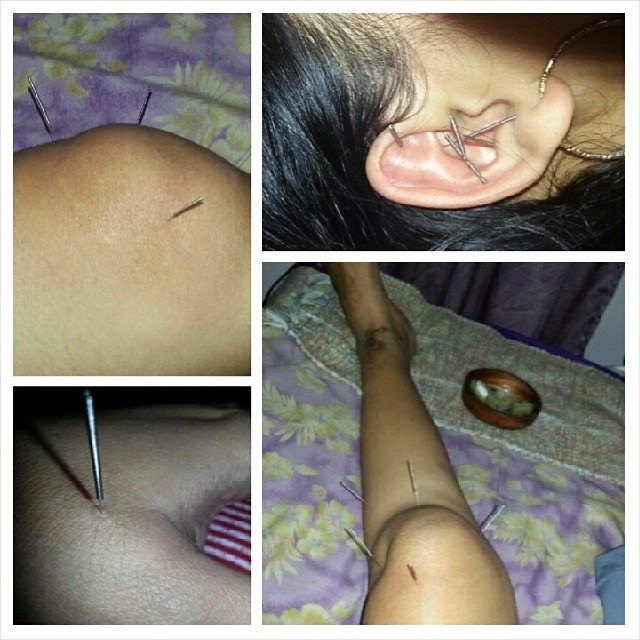 It was also my first time to experience Acupuncture Detox (you can avail of the full service for Php700). The friendly therapist simply told me to breath before she inserted the needles and to my surprise, no pain at all. After a few chat here and there, I felt so sleepy while my ears were filled with needles. She even put some on my left leg with metal braces and I felt some of my muscles brought back to life. I've realized how important it is to do this for my muscles and I'll definitely be back here to have more of their Acupuncture Detox. After that relaxing Acupuncture Detox at the Wellness Sanctuary, the final stop was indulging in Tao Yuan's famous Singapore Chinese dishes. We were served a lauriat of Tao Yuan's Singapore Hainanese Chicken, Mango Lapu Lapu and Happy Birthday Noodles with Mango Shake and Mango Sago for dessert. 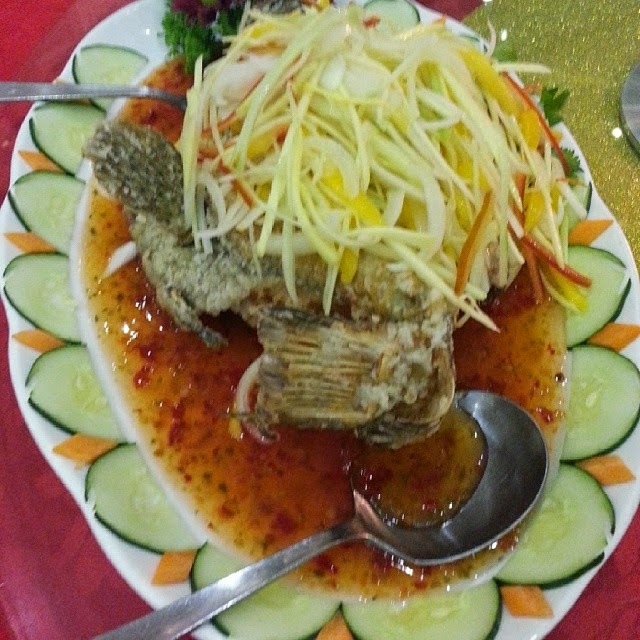 Located at the 2nd floor of Lucky Chinatown Mall, Tao Yuan's famous Mango Lapu Lapu deserved its fame served crispy and tasty with a mix of yellow and green mango slices and their sweet and spicy sauce. Just a few helpings of the dish will satisfy the whole family. The plate was easily wiped out in seconds. Their Happy Birthday noodles were also happy and their Singapore Hainanese Chicken was at the top of its class, tender, soft and flavorful. I've been to some food tours and this was just an extraordinary experience I would love to repeat. The itinerary was prepared well for physically-challenged like me. Every stop was just conveniently located in the mall and each stop was a fulfilling experience to appreciate Chinese culture and tradition. 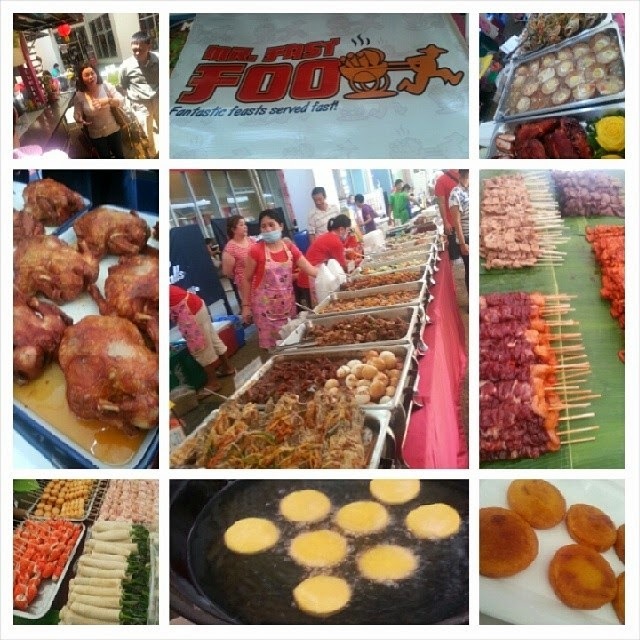 For only Php888 and for 4 hours or more, you'd be completely filled with food, culture and fun. It's the only food and culture tour where you'll eat and have acupuncture, fish spa and Feng Shui and visit a Buddhist temple while eating all the delicious Chinese favorites. 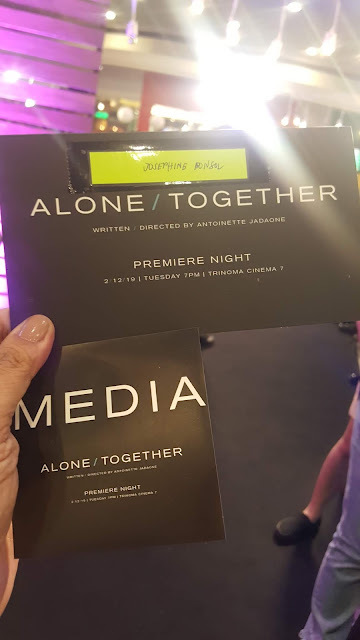 All of these for only Php888 and with Anton Diaz and RJ Ledesma as host, you could never ask for more. 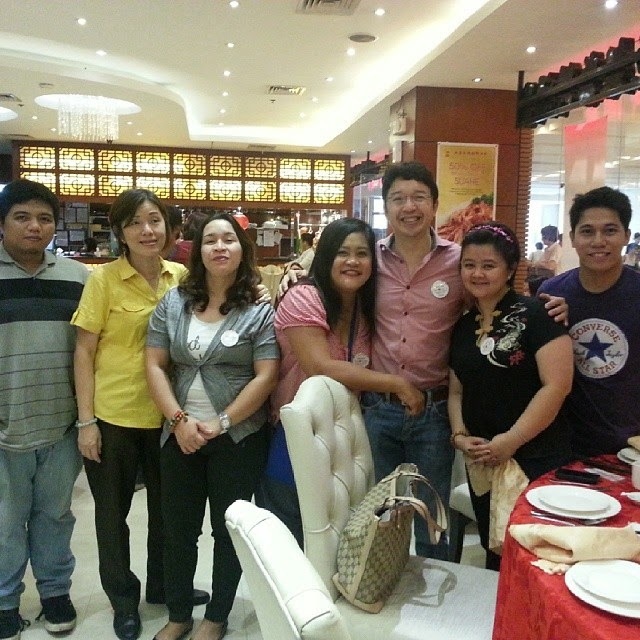 You don't have to sweat and be stressed following the pack because it's all here in Lucky Chinatown Mall. 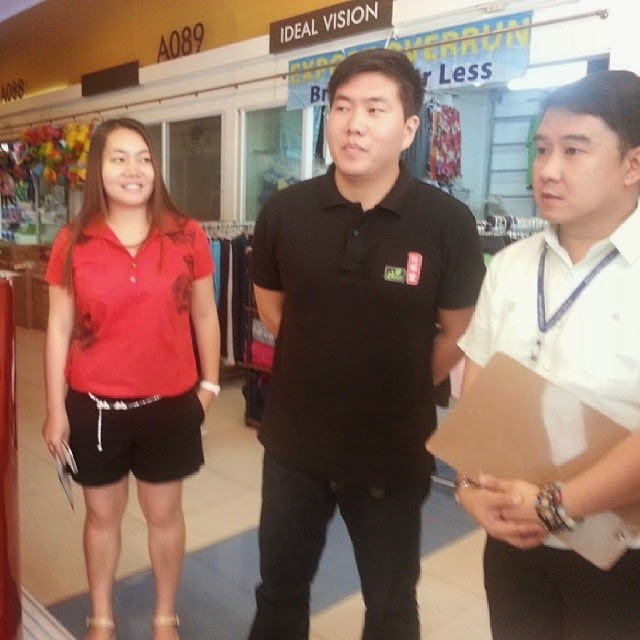 Grab your chance to unveil the Secrets of Lucky Chinatown Mall on May 10, 24, 31 and June 7! 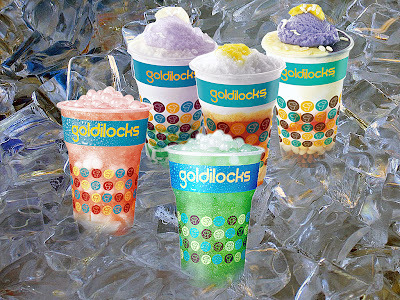 Reserve your slots at the Lucky Chinatown Mall Concierge or at Eastwood Mall Concierge (Call 576-8139). Hurry because they only have limited slots available. For more information, please visit www.megaworldlifestylemalls.com for details. Like https://www.facebook.com/megaworldlifestylemalls/ for more promos and updates.